Mens red sock by Gresham Blake. 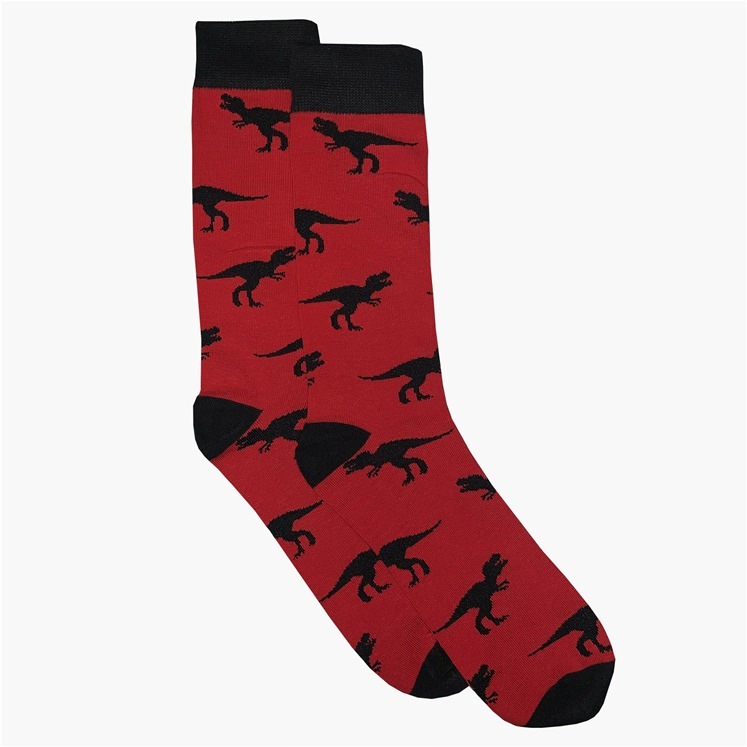 Red with repeated black dinosaur silhouettes . A limited edition sock designed in collaboration with Berlin's Natural History Museum. 75% cotton, 20% polymide, 5% elastane sock.